Anyone involved in a West Palm Beach car accident should become familiar with the acronym, “PIP,” which under Florida’s no-fault auto insurance law refers to “personal injury protection” benefits, as outlined in F.S. 627.736. As our car accident lawyers in West Palm Beach can explain, it basically works like this: You’re in an auto accident. You’re hurt. It doesn’t matter which driver is at-fault, the PIP auto insurance will cover its own insured (and passengers, qualifying resident relatives and in some cases, non-vehicle occupants such as pedestrians or bicyclists). However, the most you can possibly recover is up to 80 percent of your medical expenses and 60 percent of your lost wages – maxing out at $10,000 (assuming your injuries are emergent; otherwise, you’re capped at $2,500). It’s only in cases of serious, debilitating, permanent or fatal injuries, as outlined in F.S. 627.737, that one can step outside of that no-fault system to file an injury lawsuit against the negligent driver or file a claim for your own uninsured/ underinsured motorist benefits. Recently, the Daytona Beach News-Journal, reporting from roughly three hours north of West Palm Beach, detailed a trend in Volusia County of rapidly rising cases in small claims court for PIP benefits – each one generally no more than a few hundred dollars. Just in that county, PIP claims spiked from 4,500 in 2015 suddenly up to 12,000 the following year, with the majority filed by a single law firm. We won’t jump to conclusions about that law firm’s practices, but do note most of the claims at issue aren’t fought on behalf of crash victims, but rather medical providers seeking PIP coverage for medical bills. The crash victim signs off on an “assignment of benefits” so the doctors can get paid. But leave it to the tort reform advocates to cite this as cause to make it tougher for those injured in crashes to get paid. Since the 1970s, established tort reform advocates assert most injury lawsuit are frivolous, injury lawyers are greedy and the whole process lines our pockets while insurance costs spike for the public. They fight for ever-higher obstacles to adequate compensation for everyone, including victims of car accidents and medical malpractice. Such efforts have been quite successful in bending public opinion. In reality, tort reform doesn’t lower insurance costs, a claim that has been debunked time and again by independent study. Even the Florida Supreme Court ruled last year, when reversing medical malpractice injury lawsuit damage caps, that “no rational basis existed” between the stated purpose of lowering insurance rates and arbitrary damage caps.” Hands down: It’s the insurers and large corporations that benefit most from tort reform. So that brings us to the assertion that auto accident claims are clogging the system. Generally speaking, the purpose of PIP is to keep relatively minor car accident cases out of court. But here’s what the tort reform advocates overlook with their narrative: There would be scant few claims to file if insurers compensated fairly as they are obligated by policy. PIP claims are no-fault, meaning one doesn’t need to prove anything beyond the fact that one was an insured and an itemized list of their losses, mostly medical bills and lost wages. The whole purpose was to cut down on court cases. But if insurers are rubber stamping denials, they do so because they hope it skates by. Clearly, as the rise in cases reveal, they don’t do as well when someone actually shows up to court to fight back. 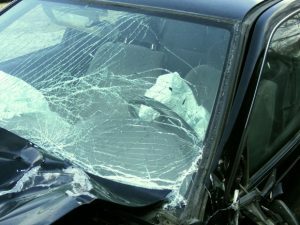 Our West Palm Beach auto accident attorneys are experienced enough to know that whether it’s a PIP claim for a couple thousand dollars or a wrongful death lawsuit for hundreds of thousands of dollars, such matters often wouldn’t need to go to court if insurers held up their end of the bargain, as insureds do every month when they pay their premiums. Because injury attorneys are paid on a contingency fee basis, they are generally not inclined to advise potential clients to press forward with claims that aren’t likely to hold up in court. It is in your best interest to hire a personal injury attorney in West Palm Beach who not only believes in your case, but is willing to help you take on the insurers to obtain fair compensation. Contact the South Florida personal injury attorneys at Halberg & Fogg PLLC., Attorneys at Law, by calling toll-free at 1-877-425-2374. Serving West Palm Beach, Miami, Tampa, Orlando and Fort Myers/ Naples. There is no fee unless you win.